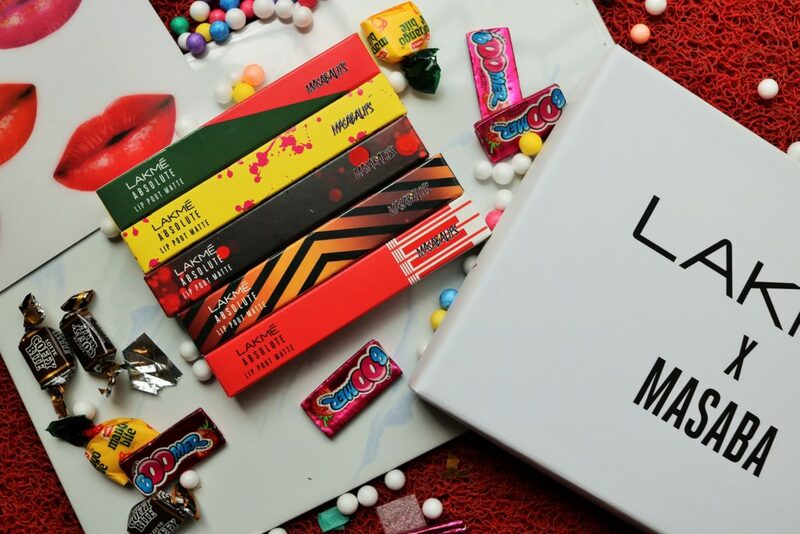 The formula of the Matte Masaba Lips is exactly the same as the regular Lakme Absolute Lip Pouts. They can be a bit tough to apply the first time and there is definitely some pulling and tugging. Pigmentation is decent but not the same for all the shades. You need to swipe a few times to get full coverage. What I love most about the Lip Pouts is the fact that these stay on for hours even if you eat and drink. Can make the lips dry after sometime though. 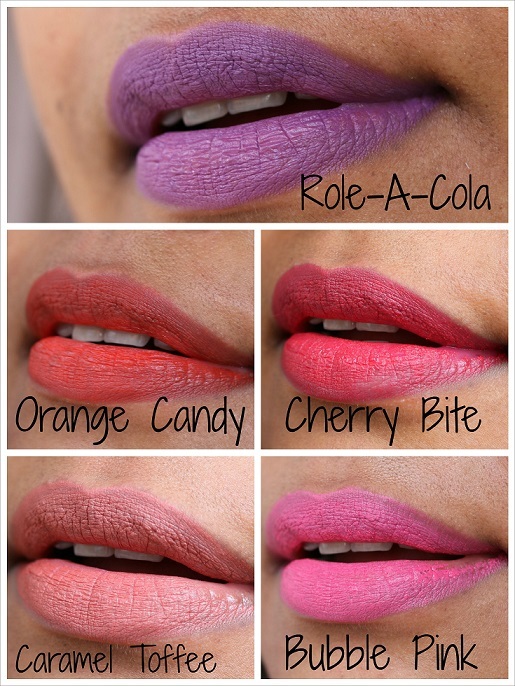 If you want to read a detailed review of the Lip Pouts, check out this blog post. Role-A-Cola – I expected this to be a dark brown but it is actually a grape/black currant. Caramel Toffee – Daily wear warm caramel shade. I have not tried the remaining five shades from the collection so can’t comment on them. What I can say is that while the shades and the packaging is excellent, there is a lot of inconsistency in terms of texture and pigmentation. If you love bright colors and want to get one shade only, definitely go for Cherry Bite. It is beautiful. 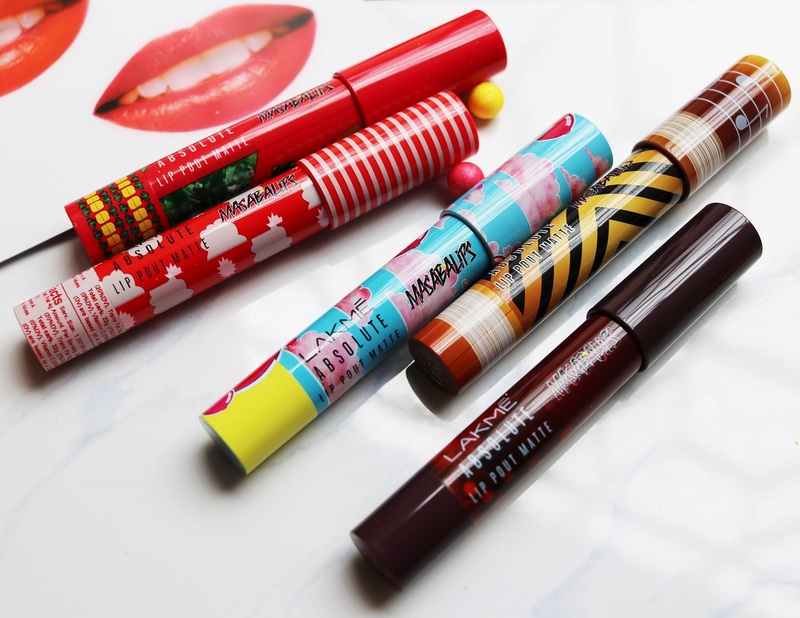 Have you tried any shade from the Lakme Absolute Lip Pout Matte Masaba Lips collection? Thank you :). Yes, love the packaging and bright shades!